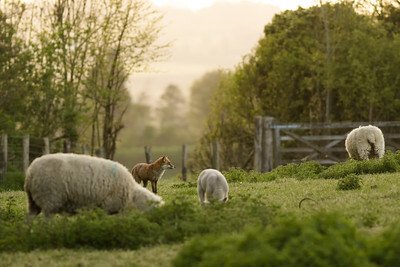 Following the journey of a family of rural red foxes raising their kits on the Kent downs. 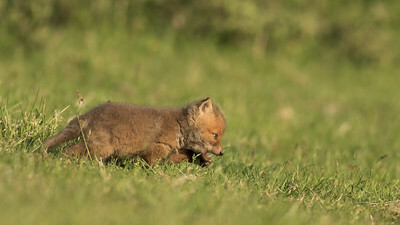 Dog fox patrolling the area around the entrance to the earth. This was the first time I saw the kit stay above ground for longer than just a few seconds. I think there are four in the litter. 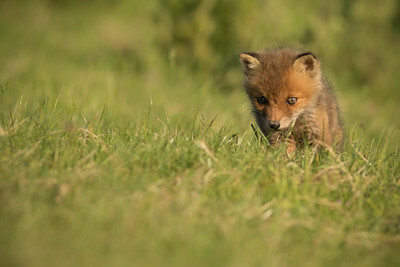 This young fox cub is starting to get much more confident and has started to venture around twenty meters from the entrance to the earth. 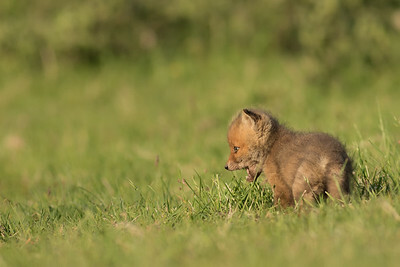 At one point it was just a few meters from me as it played at trying to catch flies. 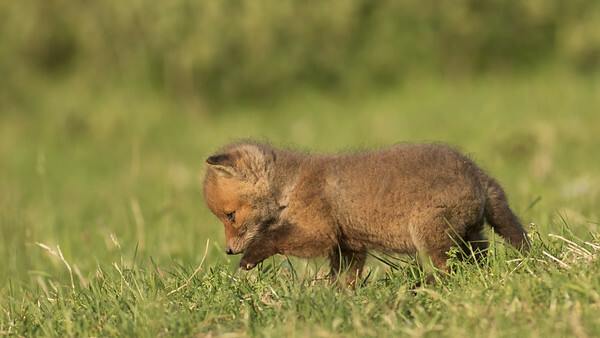 Red Fox cub exploring its environment around the entrance to the earth. 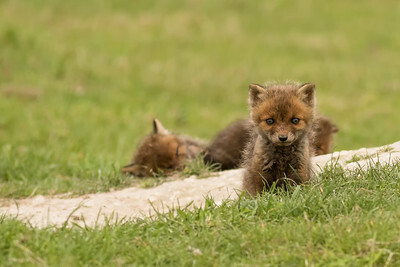 Since finding this family of red fox in early May I had hoped to follow this family them as they raised their kits. 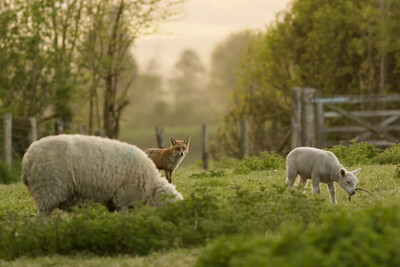 I first spotted them late one evening whilst out looking for owls on the downs where I live. 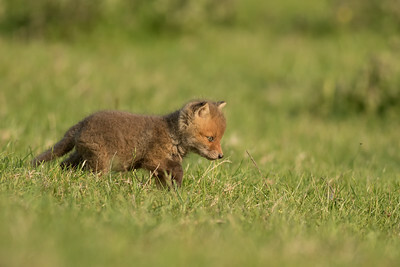 This chance encounter gave me the briefest of views through binoculars of two of the kits. They came out of the earth for just a few seconds before going back underground. 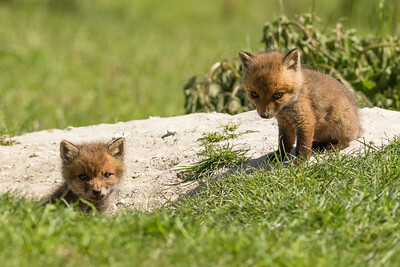 I believe that this might have been their first time above ground and I had to wait another week before I would see them again. 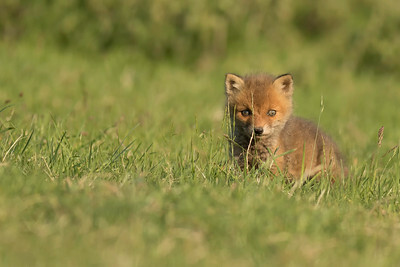 I managed a few other brief sessions photographing them and all seemed to be going very well. 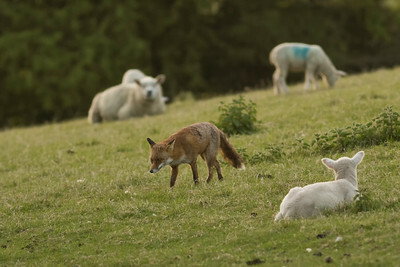 That was until one evening when an epic field craft fail led to the vixen finding me a little too close to the earth. That was the last I saw of them. 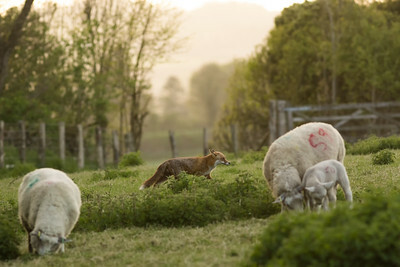 I believe the vixen would have moved all the kits to another earth as this is usual behaviour for rural red fox who are nowhere near as trusting as their urban cousins.